Iowa Governor Terry Branstad recently signed into law a bill that could end up severely limiting access to compensation trust funds set up by asbestos manufacturers for mesothelioma cancer victims harmed by deadly products. Iowa Democratic lawmakers decried the legislation, which one state senator described as containing “trap doors” for mesothelioma cancer victims trying to recover vital compensation for medical expenses and lost wages. Dubbed the “Asbestos Bankruptcy Trust Claims Transparency Act,” the law aims to reduce what many call “double dipping” by plaintiffs lawyers filing claims victim’s trust set up by asbestos companies as part of their condition for bankruptcy and then filing a separate lawsuit against other entities. The law now requires plaintiffs to disclose certain information within 90 days of filing a claim in an asbestos cancer bankruptcy trust or be barred from any recovery with the trust. Furthermore, the act focuses on identification of additional or alternative asbestos trusts by the defendant, legal discovery and use of materials, identification of asbestos trust claims by the plaintiff, valuation of claims, and failure to comply with disclosure requirements. Supporters claim the new law will help ensure the money set aside in these trusts will go to deserving victims and the funds will be available for many years to help victims diagnosed with mesothelioma in the future. New legislation is working its way through Congress that could end up having an enormous impact on compensation recovery options for mesothelioma cancer victims seeking justice for the asbestos exposure. Recently, the House of Representatives consolidated a pair of tort law reform bills targeting class action lawsuit and asbestos bankruptcy trusts to make it harder for plaintiffs to have their day in court. Last year, the House of Representatives passed the Fairness in Class Action Litigation Act and the Furthering Asbestos Claim Transparency Act of 2017 (FACT) but the bills stalled in Senate committees after consolidation. Even if both houses of Congress approved the bills, then President Barack Obama indicated he would have vetoed the legislation, which would not have the necessary votes to override the veto and become national law. However, with a new Republican majority in the House and Senate, as well as the White House, the bills are poised to become law after re-submission and passage in the House of Representatives, again consolidated together. 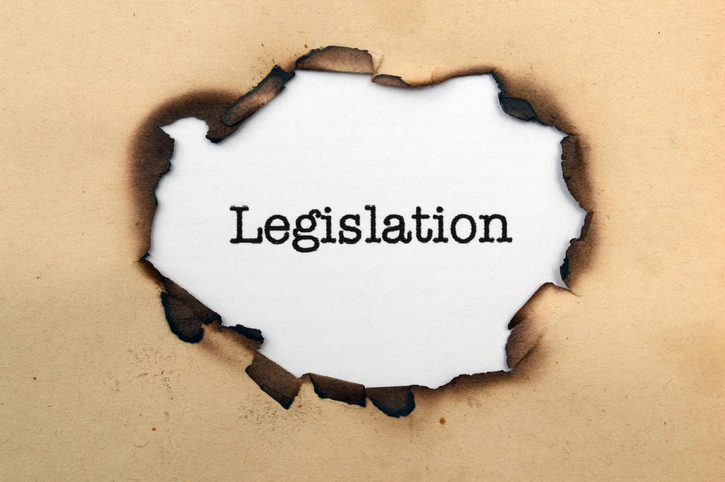 While each bills focuses on distinct areas of tort reform, the provisions of the FACT Act poses the greatest threat to victim recovery following a devastating mesothelioma cancer diagnosis. According to the complaint, the 65-year-old male plaintiff developed mesothelioma decades after working with the defendant’s defective asbestos as a laborer for a California plumbing company. The male-plaintiff used a circular saw to cut and shape the asbestos cement pipe for use in water drainage and other industrial uses. In the course of cutting, drilling, and grinding the asbestos cement pipes, the plaintiff worked in an extremely dusty environment which caused him to unknowingly inhale the asbestos particles that ultimately lead to his cancer diagnosis. At trial, the plaintiffs’ attorney presented evidence the defendant knew since 1962 the dangers asbestos dust could pose but did nothing to warn potential users about these risks. 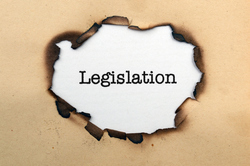 A Texas-federal lawmaker recently introduced a bill in Congress allegedly targeting what has been incorrectly characterized as a “lack of transparency” when it comes to who, how, and why claimants receive compensation in asbestos bankruptcy trust funds. Other lawmakers have introduced similar legislation over the years aimed at making it more difficult for mesothelioma cancer victims to follow through with filing claims to receive the vital compensation necessary to pay for medical treatment and cover lost earnings. House Judiciary Committee and House Committee on Oversight and Government Reform member Rep. Blake Farenthold submitted H.R. 906, known as the Furthering Asbestos Claim Transparency Act of 2017, along with cosponsors Reps. Bob Goodlatte, R-Va., and Tom Marino, R-Pa. Approximately 100 bankrupt asbestos companies have created trusts over the years to compensate mesothelioma cancer victims, many of which claim they are the targets of frivolous and exaggerated claims aimed at drawing more compensation than deserved. The bill would require mesothelioma bankruptcy trusts to submit quarterly reports on claims submitted to the organizations, while (allegedly) protecting claimant privacy and personal information at the same time. While former President Barack Obama promised to veto any such legislation while he was in office, the new Trump administration is seen by many as more sympathetic to tort reform and particularly asbestos. According to his 1997 book, “The Art of the Comeback,” President Trump praised the use of the deadly material as a fire retardant, going as far to make claims that criminal elements pushed for legislation to ban asbestos so these entities could then corner the market in asbestos abatement.